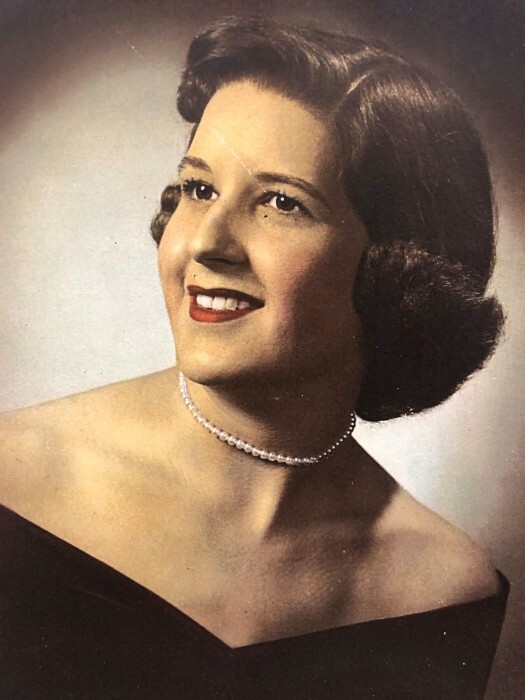 Obituary for Bette A. Reynolds | DellaVecchia, Reilly, Smith & Boyd Funeral Home, Inc.
Bette Anne (Bader) Reynolds, 86, beloved wife of Arnold Gene Reynolds, passed away Sunday, October 21, 2018 at Wellington Terrace in West Chester, Pennsylvania. Born on November 7, 1931 in Owensboro, Kentucky, Bette was the daughter of the late Henry T. and Eileen (Berry) Bader. She and Gene resided in many places including Schenectady and Syracuse, NY, Ormond Beach, FL and Berwyn, Devon and West Chester, PA. She was a 1950 graduate of St. Frances Academy, Owensboro, KY. She was committed to her Catholic faith and used her artistic, culinary and event planning talents to support her parish. Bette was generous with her love and time, and often gave special gifts to her children and grandchildren. Throughout the year, Bette gathered everyone in her home to celebrate special occasions and holidays and to enjoy her exceptional southern cooking. She was a faithful wife, loving mother, devoted sister and supportive nana, and will be greatly missed. Bette is survived by her husband of 62 years, Gene; two sons, Scott A. Reynolds, his wife Carol (Schmidt), of West Chester, PA, and Rodney K. Reynolds, his fiancee Tracy Hill, of Hellertown, PA; three daughters, Jennifer R. Johnson, her husband David, of Coatesville, PA, Cynthia L. Reynolds of Exton, PA and Karie E. Reynolds of West Chester, PA; one sister, Linda S. (Bader) Praria, her husband James, of Deltona, FL; and seven grandchildren – Laura, Christopher and Keith Reynolds; Travis Reynolds; and Andrew, Samuel and Benjamin Johnson. She was predeceased by her brothers, Thomas Bader and Robert Bader, and sister, Louise (Bader) Ferrante. A private Catholic mass and burial will take place on Saturday, October 27, 2018.